EU is selling cars like never before. According to ACEA, EU passenger car registrations increased significantly, totaling 1,891,583 units, which is up +11,2 percent in March this year. This is an all-time high. All the big five markets recorded very strong performances during the month, with Italy (+18,2%), Spain (+12,6%) and Germany (+11,4%) posting double-digit percentage gains, followed by the UK (+8,4%) and France (+7,0%). This level of growth is mainly due to Easter falling in March last year and in April this year. The demand for passenger cars from January to March 2017 increased by 8,4 percent, totaling 4,141,269 units. Italy (+11,9%), Spain (+7,9%), Germany (+6,7%), the United Kingdom (+6,2%) and France (+4,8%) all saw their markets grow during the first three months of the year, contributing to the overall upturn in the EU market. The growth in car sales rose «only» 2,2 percent in February this year. The demand fell in several big markets and sales of volume brands Volkswagen and Peugeot slumped. Volkswagen AG, which is the biggest manufacturer, continued to lose market share, falling down to 10,4 percent. Volkswagen new car sales fell 6,6 percent in February, and the sales of the larger Volkswagen group, which includes Audi, Porche, Skoda and SEAT, fell 1,1 percent. 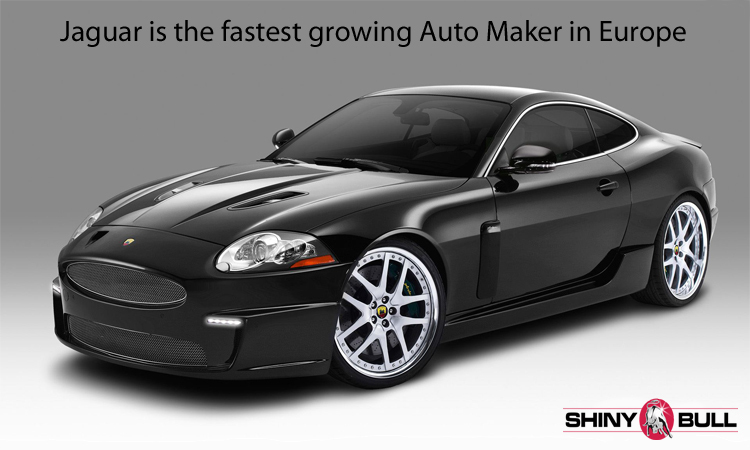 The sports car brand Jaguar in the Jaguar Land Rover Group was again the fastest growing automaker in Europe. New Jaguar sales surged about 52 percent in February, which is much better than their competitors like BMW, Audi, Daimler AG`s Mercedes and Porsche.